Southern Pride Custom Cabinets is proud to serve the North Alabama and Tennessee Valley region from Birmingham, AL, to Nashville, TN. Our commitment to providing quality products and services to our customers is demonstrated by our exceptional work and customer feedback. "The cabinets are beautiful and exactly as we had desired them to be. We also wanted to thank you for your professionalism and your kindness." 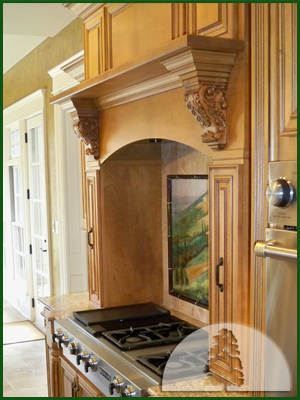 "Terri and I are extremely pleased with the cabinets you installed in our home. The quality – both workmanship and materials – is excellent. Additionally, we appreciate the steps you made to allow easier access to upper shelves."